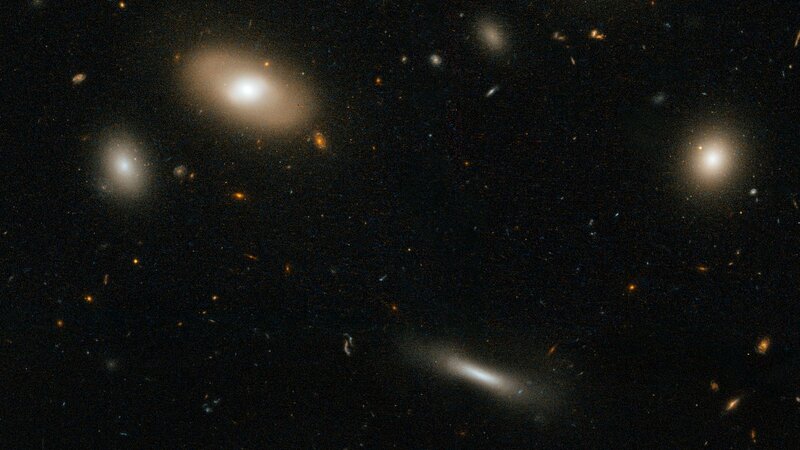 The NASA/ESA Hubble Space Telescope captures the magnificent starry population of the Coma Cluster of Galaxies, one of the densest known galaxy collections in the Universe. 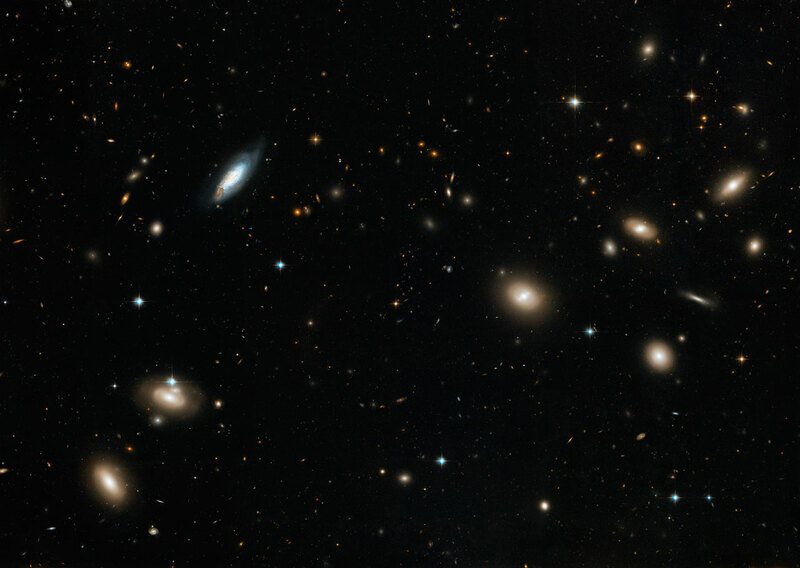 Hubble's Advanced Camera for Surveys has observed a large portion of the Coma Cluster, stretching across several million light-years. The entire cluster is more than 20 million light-years in diameter, is nearly spherical in shape and contains thousands of galaxies. Also known as Abell 1656, the Coma Cluster is over 300 million light-years away. 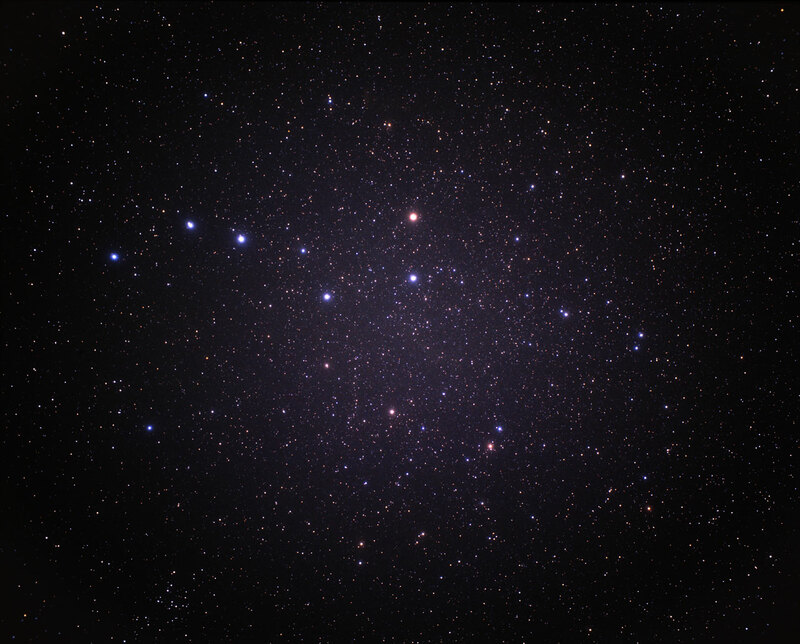 The cluster, named after its parent constellation Coma Berenices, is near the Milky Way's north pole. 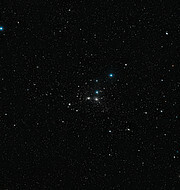 This places the Coma Cluster in an area that is not obscured by dust and gas from the plane of the Milky Way, and so is easily visible to observers here on Earth. Most of the galaxies that inhabit the central portion of the Coma Cluster are elliptical galaxies. These apparently featureless "fuzz-balls" are a pale golden brown in colour and contain populations of old stars. 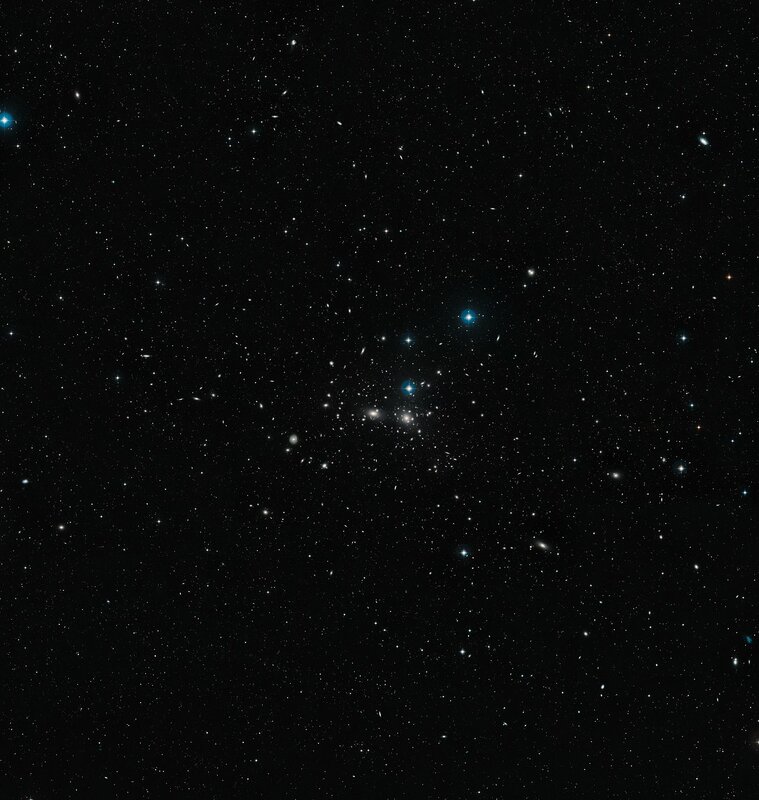 Both dwarf and giant ellipticals are found in abundance in the Coma Cluster. Farther out from the centre of the cluster there are several spiral galaxies. These galaxies contain clouds of cold gas that are giving birth to new stars. Spiral arms and dust lanes "accessorise" these bright bluish-white galaxies, which have a distinctive disc structure. 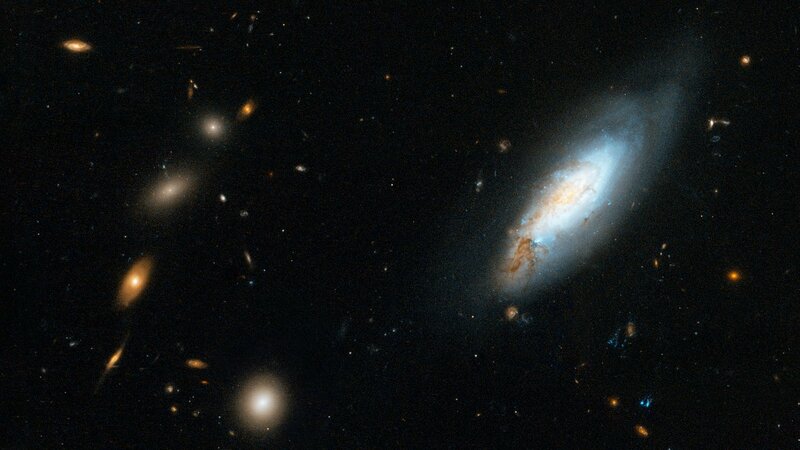 S0 (S-zero) galaxies form a morphological class of objects between the better known elliptical and spiral galaxies. They consist of older stars and show little evidence of recent star formation, but they do show some structure -- perhaps a bar or a ring that may eventually give rise to more disc-like features. This Hubble image consists of a section of the cluster that is roughly one-third of the way out from the centre of the whole cluster. One bright spiral galaxy is visible in the upper left of the image. It is distinctly brighter and bluer than the galaxies surrounding it. A series of dusty spiral arms appears reddish brown against the whiter disc of the galaxy, and suggests that this galaxy has been disturbed at some point in the past. The other galaxies in the image are either ellipticals, S0 galaxies or background galaxies that are far beyond the Coma Cluster sphere. The data for the Coma Cluster were taken as part of a survey of a nearby rich galaxy cluster. Collectively they will provide a key database for studies of galaxy formation and evolution. This survey will also help to compare galaxies in different environments, both crowded and isolated, as well as to compare relatively nearby galaxies with more distant ones (at higher redshifts).